Everything about Spain represents the passion and power of an awesome culture. The swirling Flamenco skirts, the flash of the Matador's cloak, the sangria, the tapas, and the rich and flaming personalities of the Spanish. Everything about Spain is red; except the startling blue backdrop of the Mediterranean, where the yachts moor with their shiny hulls, and the silvery green leaves of the olive groves. 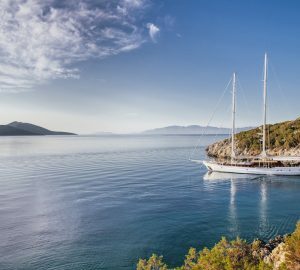 Balearic Islands, located in the western Mediterranean Sea, are the most sought-after charter destination in Spain with charter itineraries starting and ending in either Mallorca or Ibiza. On a charter holiday in the Balearics you will come across continuous sunshine, pristine clear waters, beautiful beaches and rugged landscape with plenty of historical sites to visit; including castles, museums and ancient cobbled streets in quaint little towns. You will also see a range of beautiful luxury superyachts moored off shore in the warm Mediterranean waters. The four largest islands to explore are Mallorca (or Majorca), Minorca (Menorca), Ibiza and Formentera (Espalmador). 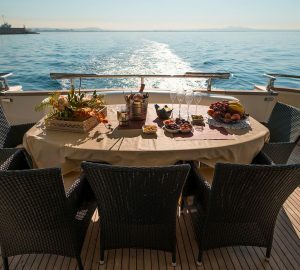 There are no half-measures on a Spain yacht charter and visitors on a luxury yacht vacation will be bombarded with visual delights, flavoursome cuisine and animated celebrations. 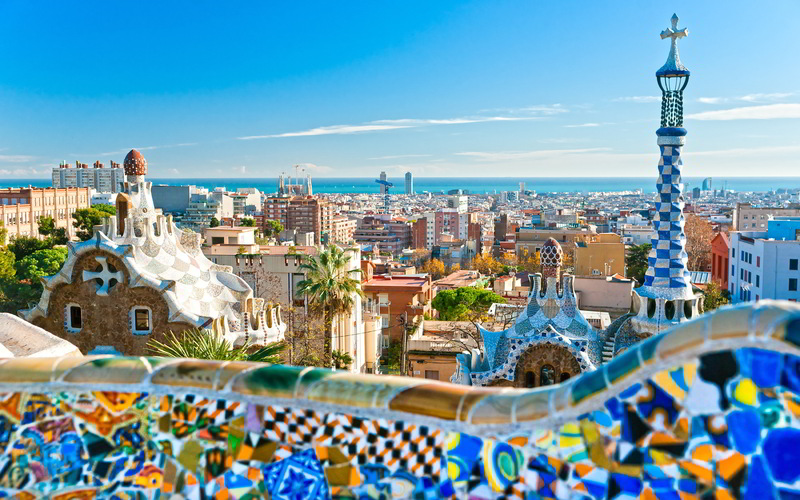 Ramble through the evocative old lane of the Gothic Quarter in Barcelona and marvel at Casa Battlo, the Basilica of the Sagrada Familia and Park Guell, all showcasing Gaudi's playful and flowing style that strongly influenced the Art Noveau movement. Picasso grew up in this atmospheric city and the galleries here have the best collection of his earlier work. The Balearic Islands have some of the very best beaches, some of which can only be accessed by luxury yacht. Party the night away in Ibiza then sail to a secluded anchorage where you can sunbathe in privacy and recover in your sundeck Jacuzzi surrounded by the ambient sounds of nature. The charming seaside towns on Menorca and Mallorca provide a laid-back setting for rest and exploration, while the surrounding seas are clear and offer a wealth of opportunities to break out your water toys. Majorca yacht charters are fabulous thanks to its beaches and coves, and is an excellent destination to enjoy everything from countryside golf to historic culture, water sports and lively entertainment. The capital city, Palma has numerous outdoor cafés, pubs and large seafront discos hosting some of the best DJs on the music scene. In Palma de Mallorca you could also visit the elegant Cathedral of Palma (Sa Seu), commissioned by King Jaume I and built on the site of a preexisting Arab mosque. Menorca features more beaches than Ibiza, Mallorca and Formentera combined and there are various attractions, including fabulous archeological sites and cultural attractions throughout the island. For yacht charterers Menorca is a perfect place to enjoy great diving, thanks to the crystal clear waters and fantastic diving sites. Minorca is also a UNESCO Biosphere Reserve and has marked trails and routes in southern Europe‘s most important wetland areas. The S’Albufera d’Es Grau Nature Reserve is where many aquatic and migratory birds thrive, or visit one of the monumental sites such as the historic old town of Ciudadela. Referred to as the ‘White Island’ thanks to its typical architecture, Ibiza is one of the best known islands in the world. If what your desire is a lively nightlife and great entertainment on your luxury yacht charter, than Ibiza is the right place to sail to. The entertainment isn’t just reserved to the night clubs; after the sunset, Ibiza plays host to street markets, terrace bars, open-air cultural events and concerts. Your Spanish charter itinerary would not be perfect without a visit to Fromentera; a mecca for nature-lovers with rich vegetation of pines and palms. Formentera is a lovely little island situated 11 miles from the South Eastern coast of Ibiza and can only be reached by boat. Adding to the exclusive atmosphere, there are numerous great beaches and tranquil bays to relax and unwind. Water sports enthusiasts can play to their heart's content at the kilometre-long beaches of Formentera, which has preserved its natural beauty. Artists and photographers have plentiful subjects to choose from, including weathered lighthouses, windmills, watch towers and churches. Isla Espalmador is one of the region's most famous sites and your group can indulge in a therapeutic mud bath after a tiring day of kayaking, water skiing or even scuba diving in the sea. 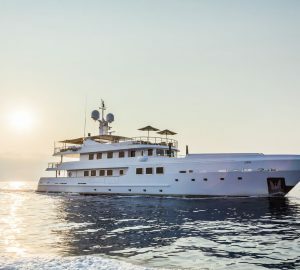 The northern Catalonian City of Barcelona, Spain’s second largest, is also the launching base for some of Spain’s superyacht charters, for those visitors who wish to add Barcelona to their charter itinerary. The city is a melting pot of gothic and medieval architecture and the culture and nightlife in Barcelona, is as good as anywhere. There are two main marinas in Barcelona, including the newly developed Marina Port Vell. From here it is just a short stroll down to the Las Ramblas, Barcelona's famous main street. It is lined with restaurants, cafe and shops. Some of the 'must-see' sights include the breathtaking 'Sagrada Familia' surrounded by the Gothic Quarter - Barri Gòtic, Park Guell or the Picasso Museum. Barcelona, a Spanish City known for its unique diversity, is a microcosm of rich culture and history and considered as a teeming social milieu in tourist circles. Mahón is a popular Balearic Islands destination among the yachting crowd for its easy-going character and fine eateries. The settlement has a personality all of its own; Georgian houses show an influence from tourists of a bygone era and guests can taste the locally made gin, tour the ancient ruins or listen to the organ in the serene church Iglesia de Santa Maria.Anchor in one of the many bays to watch the sunset as you dine alfresco aboard your superyacht, then spend your evening hosting your own private sundeck party while the town lights flicker on the water. The naturally beautiful region of Ciutadella on Menorca will leave your luxury yacht charter party spoiled for choice for beaches and play grounds to break out the water toys. Fishing, snorkelling and diving in this region is also excellent and there is a variety of sea corals and marine life to make colourful photographs to share back home. Wildflowers and ruins throng the hillsides and outside of the peak tourist times, you can have the beach all to yourselves to enjoy a candlelit dinner beside the water. If you crave city life Ciutadella has excellent shops and plenty of cultural hot spots to discover, such as the Talaia Cultura and the Cathedral Ciudadela. The Spain yacht charter scene has become increasingly popular and the types of yacht charter available in the Balearics, Barcelona, Palma, Valencia and The Costa Brava are all the main types of yacht charter including motor, sailing, bareboat charter, skippered, crewed yachts, catamaran, power boat, sailboat, luxury yachts and the ever more familiar super yacht charter. Like most of the Mediterranean, the Spain yacht chartering season generally runs from April to the end of October. The summer season in July and August is the hottest and tends to have lighter winds. This is also the high season as far as yacht charter goes. 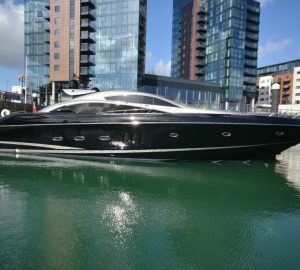 Other good times to rent a yacht is generally on either of the shoulder seasons (April-May and September-October), each side of the main summer season, as the temperatures are still comfortable, and the onshore tourists have yet to arrive in their largest numbers. This is the time that you will see the bulk of the Mediterranean crewed luxury superyachts visiting Spain. Explore Location Guides for great destinations near Spain .